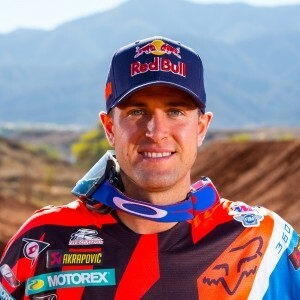 Intense Cycles USA Gets Intense New Investors—Like Ryan Dungey January 24, 2019 Well this might be something. Open Mic: Ryan Dungey October 22, 2018 "﻿﻿﻿﻿I think the highlight of my night was going against Villopoto. Win or lose or whatever, it was cool to line up on the gate with him again and just go." Watch: Two-Stroke Track Day With Ryan Dungey October 17, 2018 Ryan “straight off the couch” Dungey will return to the ½ mile straight rhythm track, and see if he can shake off the rust, get on the pipe and propel himself to two-smoke victory. On This Day in Moto: September 18 September 18, 2018 Kent Howerton wins the S/W Monroe Motorcycles Olympiad and America takes its last victory to date at the Motocross of Nations. 450 Words: The Power of Saying Yes September 12, 2018 A new generation is poised for the 450 class in 2019. Who wants it badly enough to succeed?